B-Model instructions for the 8063 (Tractor with Trailer) are now available online from LEGO website. 8063 Tractor, B-Model features a 'Sowing Machine' and building instructions are divided into 2 files which you may download directly, from the links below. Obviously they just include instructions for the trailer. Enjoy! Thanks Junkstyle Gio for let us know. Can't find them. 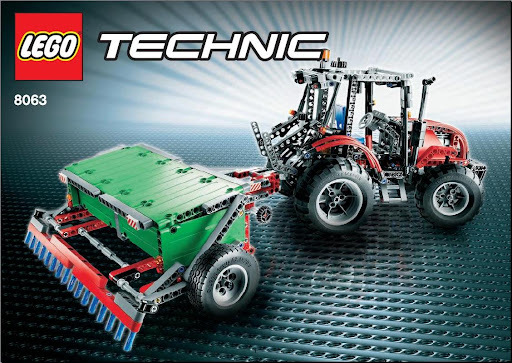 Both at Customer Service and TECHNIC webpages. Are you sure to have seen them?